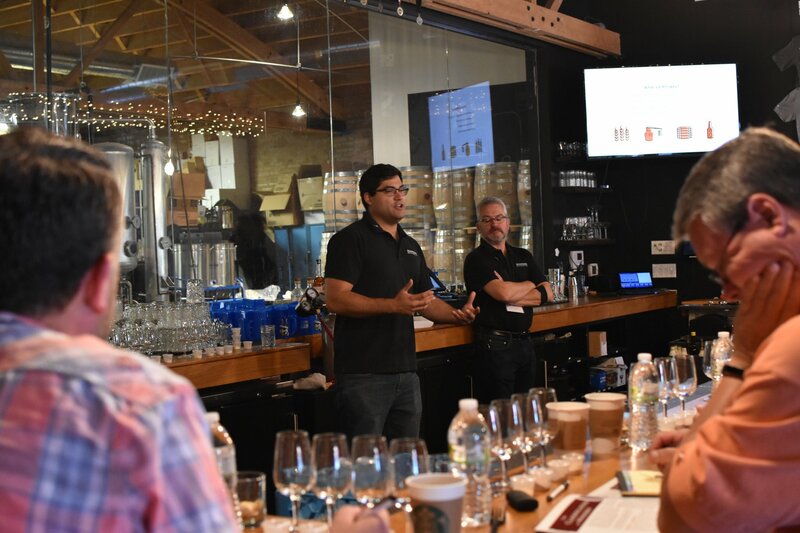 Home » Blog » Distilleries » Stave & Thief Bourbon Training Came To Chicago Distilling! Stave & Thief Society is the nation’s premiere bourbon education organization. The first and only of its kind endorsed by the Kentucky Distillers Association. (And as of last year, their Official Bourbon Certification Program. )They’ve been hosting bourbon education classes at their state-of-the-art facility in downtown Louisville since 2015. Classes include the on-line Bourbon Steward Certification and the full day Executive Bourbon Steward class for both individual enthusiasts and establishments like bars and restaurants. (I’m an Executive Bourbon Steward, certified in April 2016, and Chicago Bourbon is a certified Establishment.) Stave & Thief certification is required of KDA members who join the Kentucky Bourbon Trail® and the Kentucky Bourbon Trail Craft Tour®. Last week Stave & Thief took their class on the road. 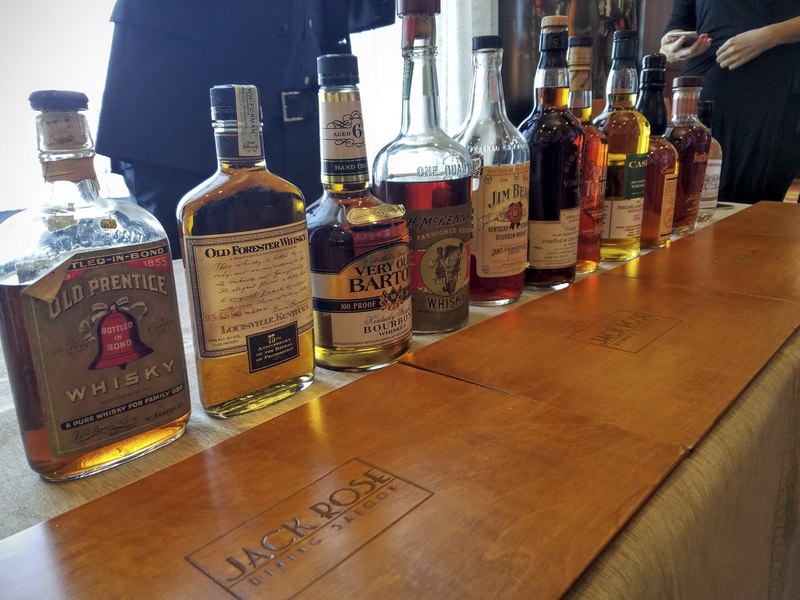 They held their first ever Executive Bourbon Steward training class outside of Louisville, KY and they fittingly chose Chicago. 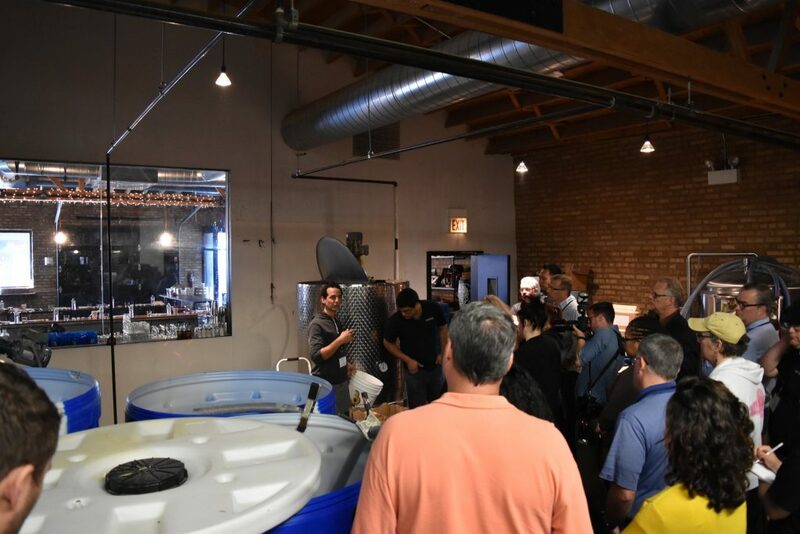 The folks at Chicago Distilling Company opened their doors, and their still, to a sold-out class of 25 bourbon enthusiasts and industry professionals for the day long training. Our own Jacqueline Rice was among the attendees and is now a certified executive bourbon steward herself! 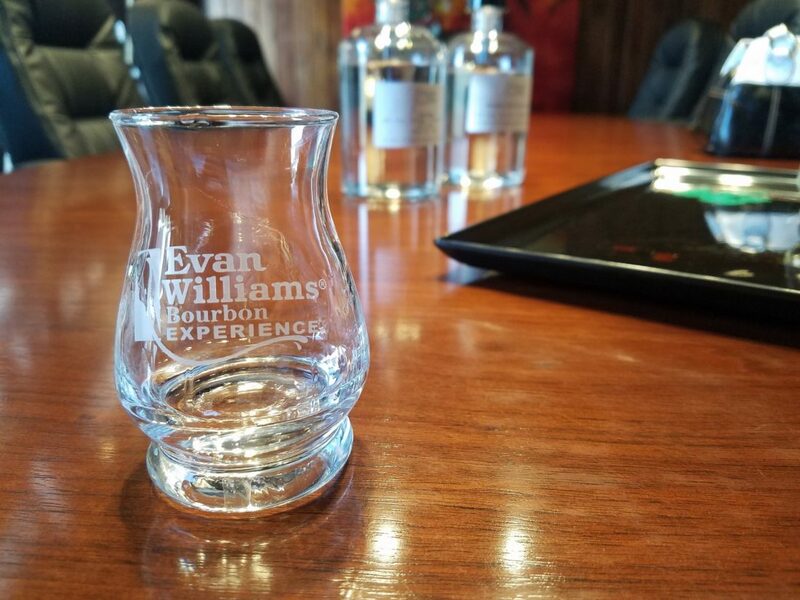 If you’re interested in bourbon and distilling education check out my experience becoming an Executive Bourbon Steward at the link below. And sign-up for our email list at the bottom of this post to get a heads up on future classes in Chicago. The class at Chicago Distilling provided guests a deep understanding of bourbon regulation, history, distillation, sensory training and more. It’s the same blend of classroom time, hands on distilling, and guided sensory that I experienced at their Louisville facility. 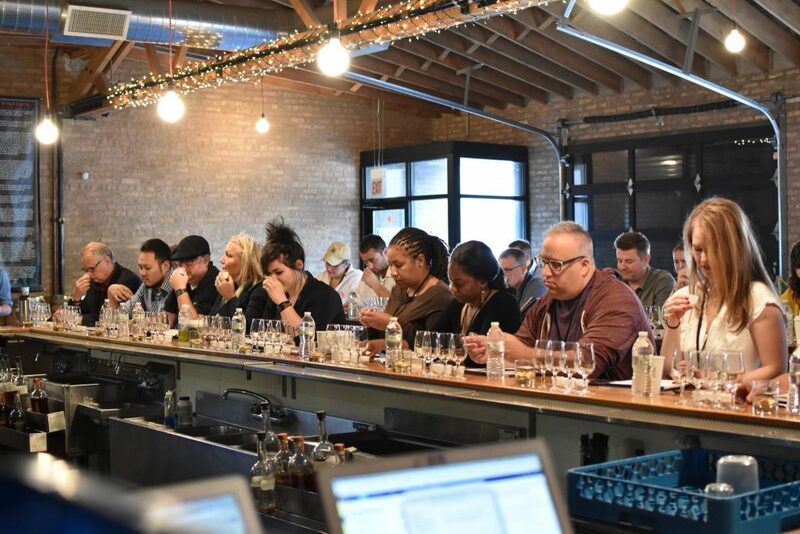 Perfectly replicated here in Chicago at the expert hands of instructors Kevin Hall and Tyler Gomez, with the help of the welcoming team at Chicago Distilling. Read the recap of my Stave & Thief experience, click here! While class was in session I took a few photos but spent most of the morning in the distillery chatting with Chicago Distilling founders Vic and Jay DiPrizio. 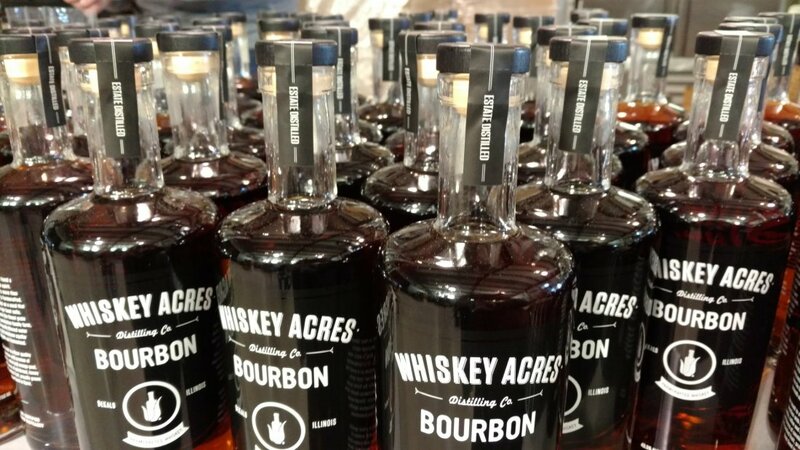 The brothers started the company in 2010 and began distilling a wide range of spirits in their Logan Square street front distillery in 2014. 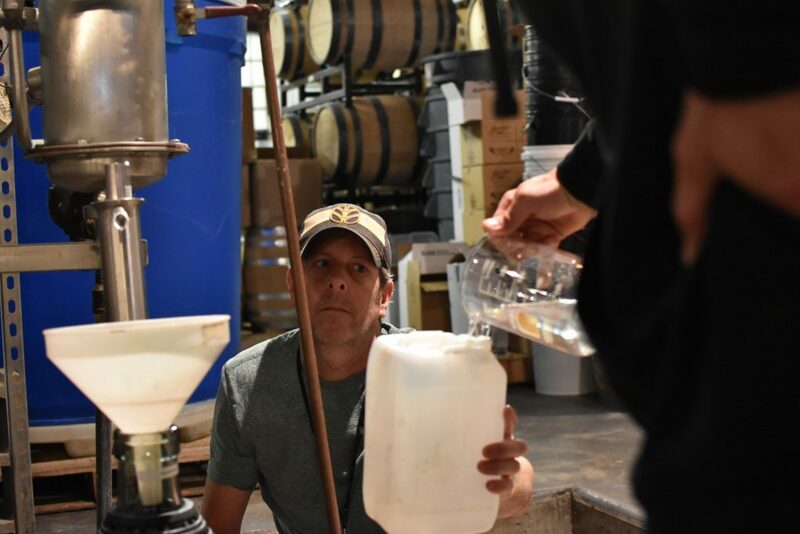 (Bonus for our beer drinking readers, Revolution brewery restaurant and taproom is just a few doors down on Milwaukee Ave.) Vic walked me through their distilling process while he ran a fresh batch of wash through the still. Their still is an interesting place to start. A direct fire CARL pot still from Germany retrofitted into a hybrid steam jacketed still by Kothe. Talk about a mouthful! It makes for a cool story though. Purchased from fellow Chicago distillery and still reseller KOVAL, this 120 gallon still is what made Chicago Distilling possible years ago and is still the heart of the distillery. The coal door at the base of the still is something I hadn’t seen before and a nice throwback left over from the original design. The size of this still is modest and for that Vic and his team work tirelessly to turn out 10 – 15 gallons of distillate per day. Enough to fill just one of the 10 gallon barrels they use, or get a start on a 25 to 53 gallon barrel which they also have resting. 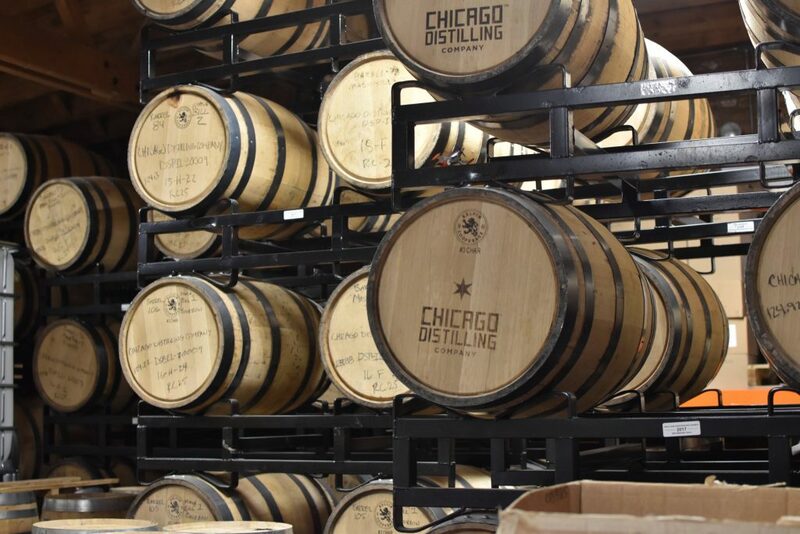 Knowing of at least 10 distinct spirits they produce, from vodka and gin to bourbon and whiskey, it surprised me how much quality spirit Chicago Distilling puts out with the size of their still and non-temperature controlled fermentation tanks requiring constant monitoring. But, somehow they do it and end up with unique products like their Stouted Single Malt Whiskey with notes of cocoa and coffee that blew me away. Stave & Thief Society is part of a larger organization, Moonshine University, that offers many more spirits focused classes. From introductory courses to advanced distilling, regulation and compliance, sensory and more. They offer classes for the enthusiast, industry professionals, and aspiring distillers. I know of at least one full-time Kentucky distiller who got his start at the 5-Day Distiller Course. I’ll have an in-depth look at Moonshine U and other education options in a blog post later this month. If you’re interested in learning where to expand your bourbon knowledge sign-up for our email list below!